Four months ago, the public received its first look at Nintendo's successor to the Wii U, a device that had hitherto been referenced strictly under the codename "NX" since its first mention in early 2015. A lengthy period of rumours and speculation was affirmed: Nintendo's latest venture was a hybrid handheld/home console. Further intrigue followed with the cast of young adults in the reveal trailer and the focus into their active urbanite lives, linked by their enjoyment of the adaptability the Switch has promised as a console. It was a remarkable step away from the pastel, family-oriented advertising Nintendo has been known for since the DS Lite era. By the end of the trailer, the impression was less that we had humoured another of Nintendo's idiosyncrasies as that we were hailing a universal step forward for games. In retrospect, the stunt pulled in October ensured that the popular reaction to the Switch has largely centred its virtues as a hybrid console. Most of us are excited to have on the go the sprawling universes and intricate scenes that have chiefly been the domain of home consoles, and to set them back on the large screen whenever we please. But as a device being lauded for its apparent convenience, how much of it applies beyond the scope of non-disabled players? Curious as to the various impressions players with disabilities may be left with, we sat down with the COO of the AbleGamers Foundation, Steve Spohn. The AbleGamers Foundation was established in 2004 as a nonprofit organisation committed to expanding accessibility in videogames; its community outreach includes setting up accessible game centres in the United States for people with disabilities, offering counseling to individuals regarding accessibility options in gaming, and awarding grants to those in need of specialised gaming equipment and accessories. The charity also engages creators in the industry, having given a number of presentations worldwide and produced free developer resources to improve the accessibility of games. Adjacent to his role on the executive board at AbleGamers, Spohn has been featured on CNN, NBC and other mainstream news outlets as an expert on assistive technology and game accessibility. The most immediate question is whether there's any innate value to the hybrid concept from the point of view of accessibility. 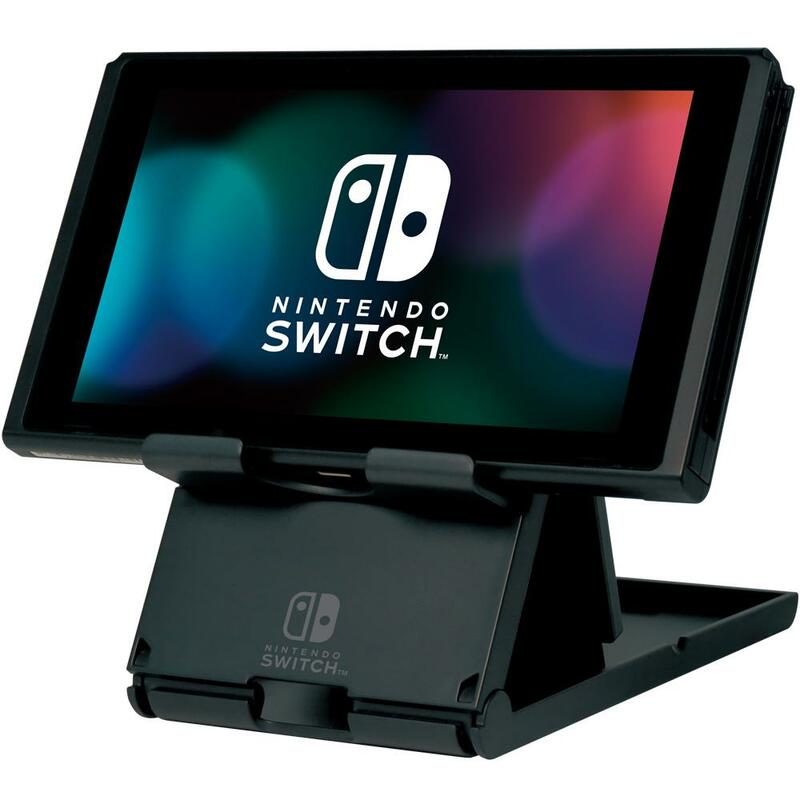 The Switch offers players three different physical configurations, dubbed "play modes" on the Nintendo websites: handheld mode, tabletop mode and TV mode. How much pliancy does this actually contribute in the face of divergent needs? First, it is important to appreciate the term ‘configuration’ as is most relevant to accessibility. “AbleGamers always likes to say options are the key. So, when we talk about configuration, I think multiple ways to use the same controller,” Spohn said. The foremost illustration for configuration in this context is thus systemwide button remapping—input most often presents the handicap for players with physical disabilities. 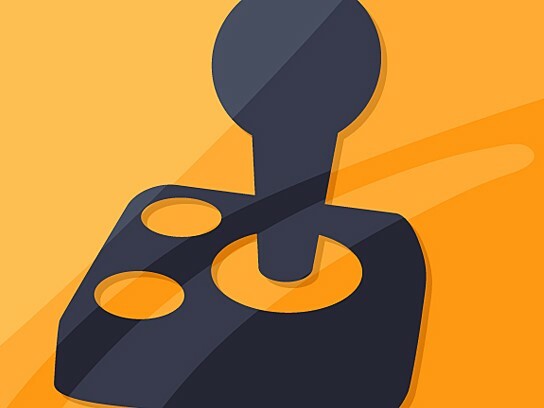 Though unable to adapt to every need, standard controllers are rarely by themselves unusable, with physical difficulty often stemming from particular ranges, combinations or sequences of buttons during gameplay. The Switch, as Spohn notes, has lent no indication so far that it supports systemwide remapping, though it isn't unthinkable given the full suite of traditional gamepad controls between the Joy-Con (at least, for single player use) and the availability of the Pro Controller. Yet while the case for programmable controllers is as yet unmade, there are other reasons to be excited for the Switch's take on configuration. “The ability to switch between a large device that can be placed on the table and operated with two hands and a small handheld controller is a boon for accessibility,” Spohn said, suggesting the device being played either with the Joy-Con attached or placed in their grip, while propped on a table using its kickstand. “It leaves options and possibilities that may allow people with certain disabilities to be able to play.” Bearing the weight of a portable in our hands may be a cinch for many of us, yet has most likely served as a barrier to handheld gaming for others. Current handheld designs, such as the oblong form of the PlayStation products or the clamshell cut of the DS range, don't lend themselves well to tabletop placement either. The Switch as a portable could be the breakthrough for some with neuromuscular disorders, muscular dystrophy, or instances of physiological fatigue affecting the hands. Casually, we might wonder what design initiatives there are to be abstracted from the Switch (as a hybrid console) to traditional consoles, both home and handheld, for more general improvements in accessibility. For his own thoughts on this, Spohn reminds us that the hybrid concept of the Switch doesn't necessarily affirm it as a median between home consoles and handhelds—in its course to furnish players with both portable and home gaming facilities, the device has emerged as something exclusive altogether. "Bop it, twist it, pull it!" 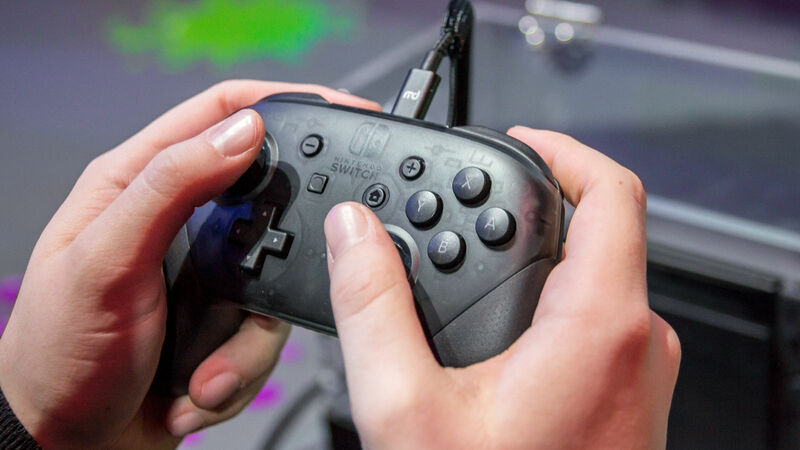 Prior to Nintendo's reveal, it had been speculated for some time that Nintendo would ditch touch and motion controls, the designs behind its very esteem during the 2000s, in the presumed effort to reengage console enthusiasts. In fact, both have seen a reprise with the Switch. Moving from the resistive touchscreens of the DS products to the popular capacitive touchscreen, and from the singular design of the Wiimote to the seamless integration of motion controls with the gamepad interface represented by the Joy-Con, Nintendo has only reinforced the vitality of touch and motion inputs. Touch and motion controls—basically any controls that increase abstraction in an interface over regular buttons—are generally accepted as more intuitive input methods on devices, especially when integrated from the ground up with software concepts. You wouldn't be alone, as a result, in guessing that these form an improvement to standard controllers for people who experience difficulty with button arrangements. However, Spohn was quick to inform us that this isn't the case at all. Titles like 1-2 Switch and ARMS, particularly the former in its correspondence to Wii Sports and Wii Play, already demonstrate the prospects of touch and motion controls as core mechanics for games in the Switch library. The new HD Rumble feature has furthermore captured the minds of developers at first sight, casually evidenced in splashes of enthusiasm across social media. Unfortunately, such novelties, when centred, more often than not spell out exclusion for many disabled players. “Rumors of IR sensors, gyroscopes, distance calculators, rumble packs so sensitive you can tell when an ice cube is dropped, are all incredibly intimidating,” Spohn said. The use of touch and motion controls presumes a certain level of physiological control and sensitivity in players, which simply isn't the case for a share of the population; developers would do well to provide alternative gameplay methods where possible. “While there are some workarounds—say, taping a Wiimote or Joy-Con to a hat—by and large, it's extremely difficult to get motion or touch controls to work for many people with disabilities. It's our hope that the majority of controls will be done in the traditional manner,” Spohn added. The standardisation concurrent with traditional controls prefaces the development of custom-made assistive technology and specialised controllers, a fact well acknowledged at AbleGamers in its partnership with Evil Controllers since 2012. 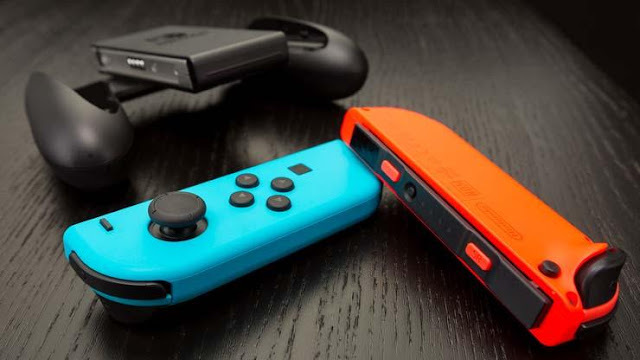 Alongside the case for systemwide button remapping, Spohn also hopes that Nintendo will allow for third-party controllers to interface the Switch. The Switch exhibits some unique design choices—dare we say compromises?—in forming itself as a hybrid. Particularly, the tablet fashions of the main unit and the diminutive Joy-Con stand out as the definitive features of the console. Their merit is clear, but what could be the pitfalls of the Switch's approaches to convertible design? Expectedly, the size of the Joy-Con has been one of, if not the first concern to be raised among those with hands-on experience. The controllers lay slight in the palm even for those with average-sized hands, an outcome of their role in optimising portability for the Switch. “The size of the controllers could be good for some with muscular dystrophy while an insurmountable obstacle for those with multiple sclerosis,” Spohn said. Muscular dystrophy, in which patients experience progressive weakening and loss of muscle mass, impedes many basic forms of physical exertion hence the favour towards small, lightweight controllers; multiple sclerosis on the other hand presents patients with diminished coordination and dexterity, due to impairment of the central nervous system, rendering small objects inaccessible with their demand for delicacy and precision. This kind of polarisation is virtually inevitable when it comes to hardware accessibility, a matter of points and proportions set in stone (or rather, silicon). Revisiting the dilemma with touch controls, Spohn added a further example that “the touchscreen could be a nightmare for people with cerebral palsy, but amazing for someone who only has control over one arm or hand.” Prospective areas of conflict aren't usually so obvious or readily theorised, mind, advancing the need for testing. “The frustrating part of trying to assess the system's accessibility before getting it into the hands of multiple people with disabilities to test out various theories is that everything which could make the system accessible could also make it inaccessible. It should be clear that the innate accessibility of a system to any player sample will be ever limited; the Switch is no exception in all its practical novelty. However, accessibility isn't a task approached in a single, wishfully conclusive effort to begin with: the solution is seeded in infrastructure, as illustrated throughout our discussion with Spohn. Support for extended system configurations, user hardware remapping and third-party hardware interfacing forms the bedrock atop which end users can be better represented under native system facilities, and atop which several independent stakeholders can pursue further designs with the device. The Switch may have yet to demonstrate awareness of this, but in its mantra of adaptability, it surely holds phenomenal potential to endorse industrial standards of accessibility. You can donate to The AbleGamers Foundation here and get more information on the organisation and what it does.